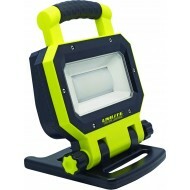 Unilite Prosafe Site Lights are built from industrial strength materials and provide powerful lumen output. Rugged anti-glare tempered glass also helps to ensure that the Samsung SMD LED’s are housed and protected from drops and falls. These lights can be angled to adapt the beam onto a specific area allowing for greater ease of use when trying to illuminate larger areas.